Why a bigger iPad? It's simple: Bigger means more screen space for watching TV shows, reading emails and browsing the web, and more space for creating things too. The new iPad Pro isn't on sale quite yet, but Apple Senior Vice President Eddy Cue has had one for months. "It's actually the machine that I use everyday," Cue said in an interview with CNNMoney. Apple announced on Monday morning that the tablet will go on sale later this week. Online orders will start on Wednesday and the devices will arrive in stores sometime later this week. Two add-ons, the Smart Keyboard and the Pencil stylus, will be available at the same time. Apple is pitching it as "the most powerful iPad we've ever made." The tablet has the feel of a print magazine. "It is startlingly huge," CNNMoney's Heather Kelly wrote when she tried it out back in September. Related: What is Apple's next big step with TV? Cue said one of the aspects that surprised him was the four-speaker sound system. 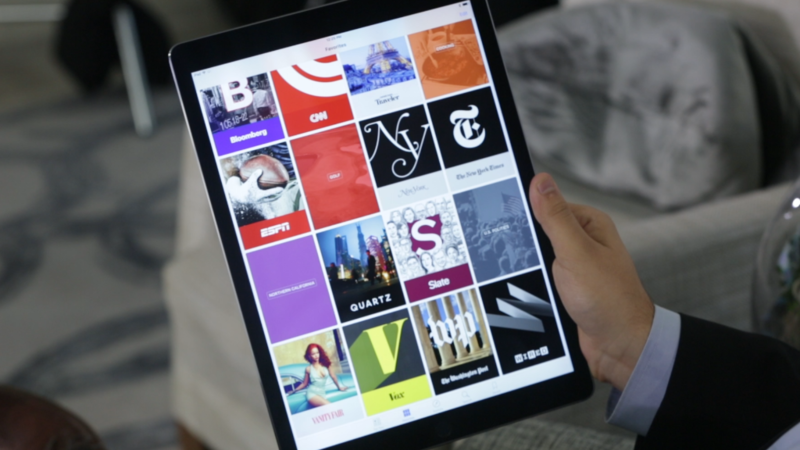 Hearing sound from the iPad Pro for the first time "changed the way I thought of the product," Cue said. "I didn't realize how much of a difference it was going to make — that you've got this stereo sound coming out of a device like this." Apple obviously hopes that the new addition to the iPad series will juice sales beginning with the coming holiday season. Cue said the notion of a extra-tall, extra-wide iPad is part of Apple's tradition of "going around the corner." "You have to think of things that, if you ask people, they may not ask you for that, but once they see it, touch it, feel it, it is what they want," he said.